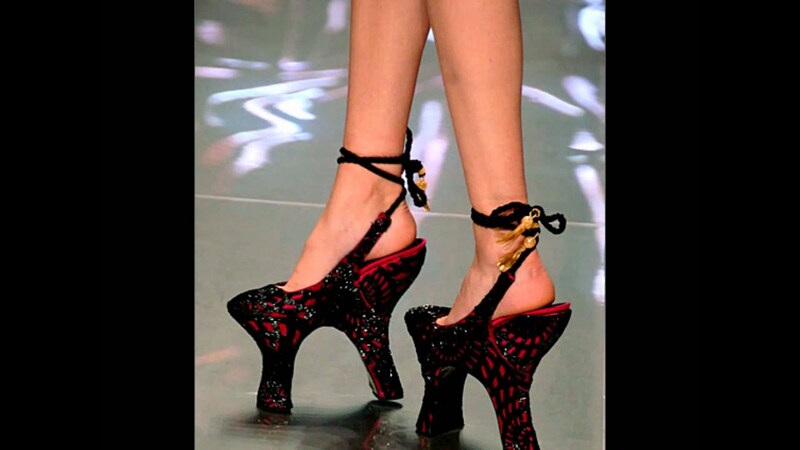 High heels have a long, rich history, dating as far back as the tenth century. The Persian cavalry, for example, wore a kind of boot with heels in order to ensure their feet stayed in the stirrups. Furthermore, research indicates that heels kept arrow-shooting riders, who stood up on galloping horses, safely on the horse. This trend has translated into the popular 21st-century cowboy boot. Owning horses was expensive and time-consuming, so to wear heels implied the wearer had significant wealth. This practical and effective use of the heel has set the standard for most horse-back riding shoes throughout history and even into the present day. Later, in the 12th century, in India, heels become visible again. The image of a statue from the Ramappa Temple proves this, showing an Indian woman's foot clad in a raised shoe. Then, during the Medieval period, both men and women wore platform shoes in order to raise themselves out of the trash and excrement filled streets. In 1430, chopines were 30 inches (76 cm) high, at times. Venetian law then limited the height to three inches—but this regulation was widely ignored. A 17th-century law in Massachusetts announced that women would be subjected to the same treatment as witches if they lured men into marriage via the use of high-heeled shoes.